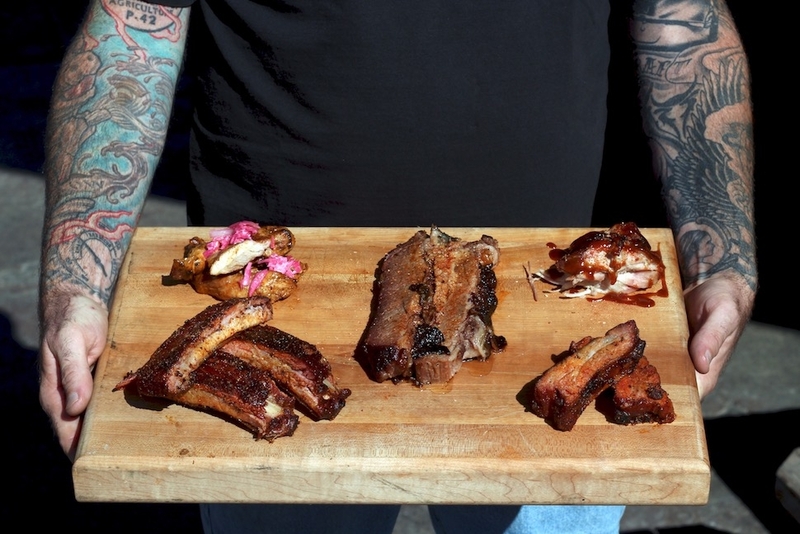 While the chief meat whisperer at Ray Ray’s Hog Pit in Columbus, Ohio is covered in tattoos, he’s actually quite reserved—monastic even, choosing his words as carefully as the hardwood in his custom-built smoker. 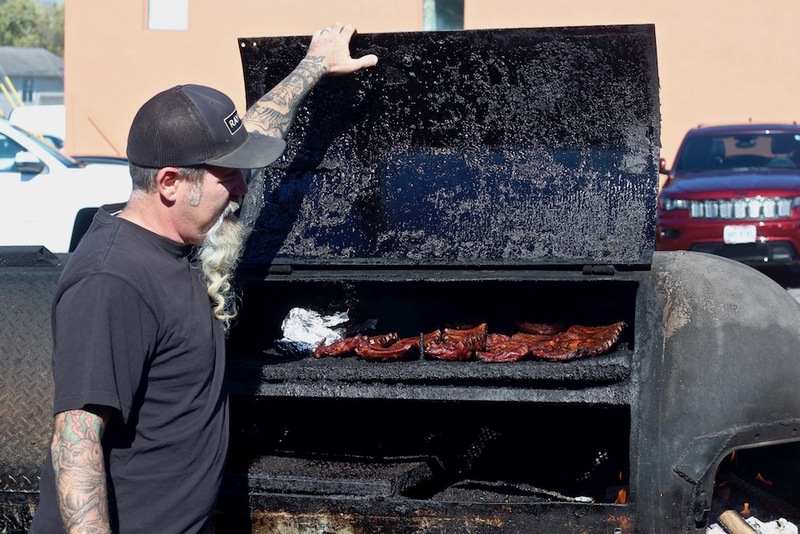 That’s because this restaurant is so deeply personal—a calling Jamie Anderson heeded after his father, a pitmaster from Cleveland, died suddenly in 2004. Until then, the former photographer had never cooked professionally. 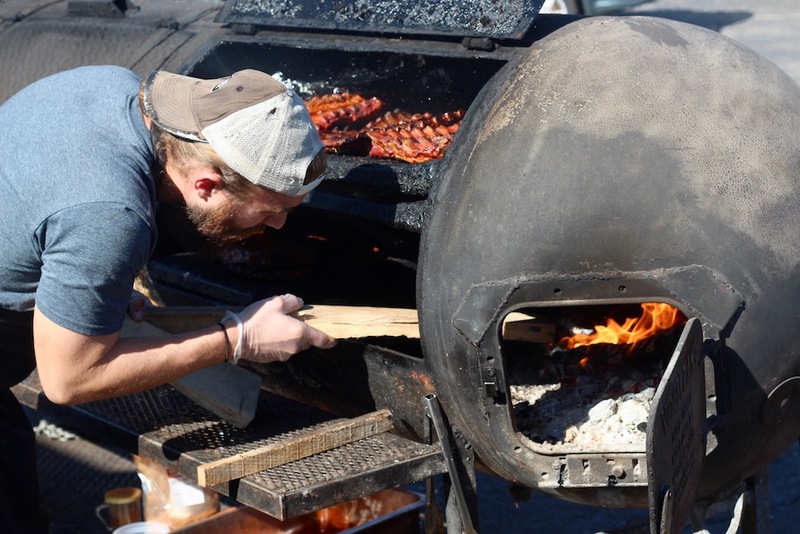 Fast forward five years and Anderson is a beloved cult figure on the U.S. barbecue circuit, with a Ray Ray’s food truck in Cliftonville, a walk-up window in Westerville, and a third truck that just opened at Land-Grant Brewing’s Franklinton taproom. 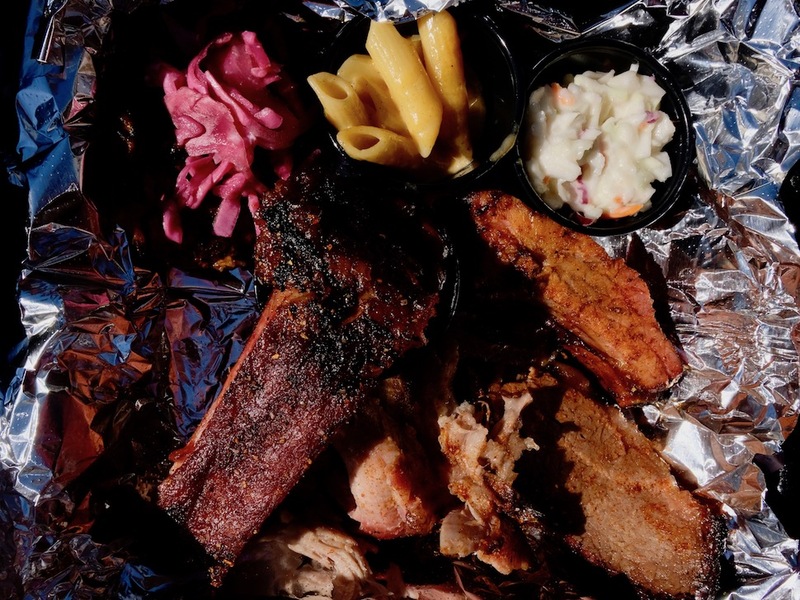 You can’t go wrong at any of ‘em, no matter what you’re craving: a full slab of St. Louis-style ribs, a pound of beautifully charred brisket, or a simple jerk chicken sandwich. Even the sides (pit-baked beans, collard greens, from-scratch mac & cheese) and desserts (cornbread pudding, banana pudding) are game changers. 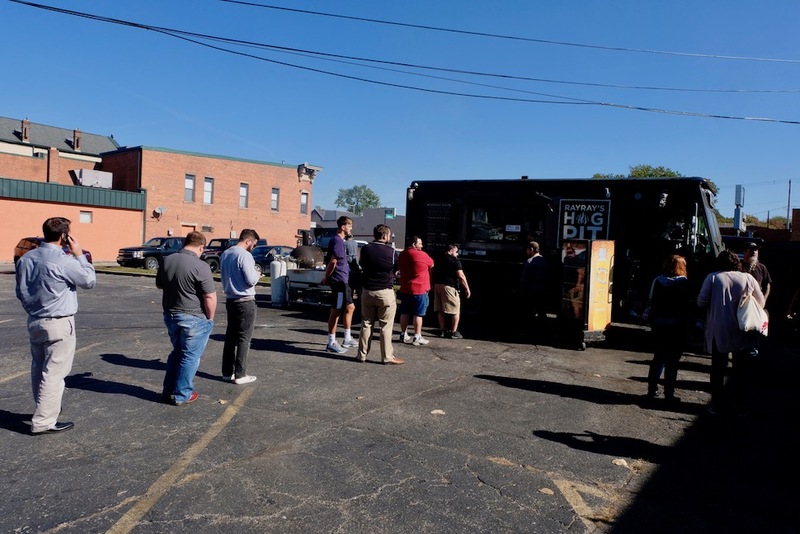 Clintonville food truck at Ace of Cups, 2619 N. High St., Columbus, OH; 614-753-1191. Franklinton food truck at Land-Grant Brewing, 424 Town St., Columbus, OH; 614-404-9742. Westerville walk-up window and drive-through, 5755 Maxtown Rd., Westerville, OH; 614-329-6654.